Early May is a wonderful time of year. Meadows and woodlands that have laid dormant during the long, cold winter months now spring into life. 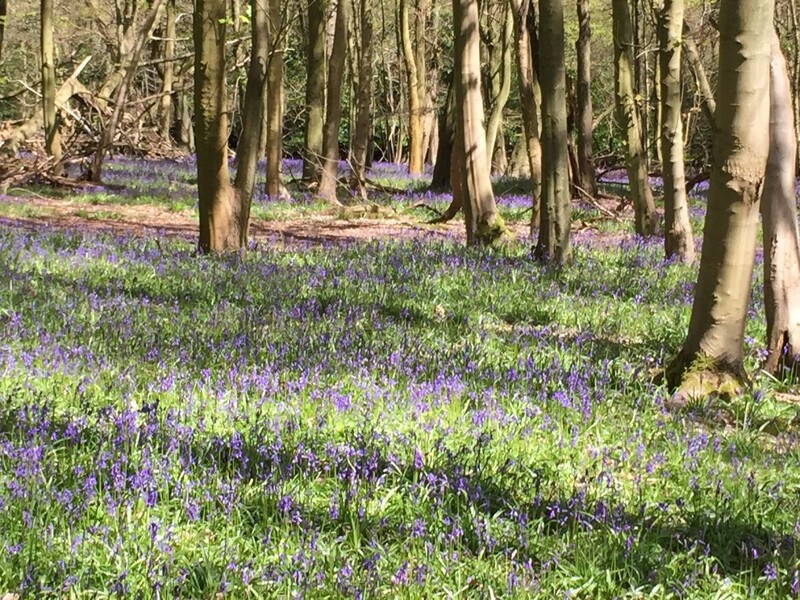 Bluebell woods in flower are one of the most spectacular Spring sites. Yet so often when you go looking for them, they disappoint. The woods feel dark and damp with few – if any bluebells in flower. Perhaps more in hope than expectation we visit the Ashridge Estate, on the Chiltern Hills around 20 miles north of London where the borders of Bedfordshire, Hertfordshire and Buckinghashire meet. Now owned by the National Trust, The Estate belonged to the Earls of Bridgewater, the Egerton family and includes an impressive monument to the 3rd Earl. Yet it’s the bluebell woods that really caught our eye. When we visited it was a clear and bright day. The sunshine cut through the trees to light up a carpet of wild bluebells, whose natural beauty took your breath away. They were amazing. Walking through these woods you felt the incredible sense of both calmness and wonder, you only get when you know you are experiencing something very special. The tranquillity and beauty of the blues gave you a stillness and sense of wellbeing, whilst the sheer volume, scale and density of the bluebells made you slightly incredulous…you could not quite believe that this wasn’t some kind of film set, or art installation, and had to constantly remind yourselves that what you saw was nature’s work alone.